Edge storage is a technology used in network video cameras where the recording and storage of video is at the camera on an onboard storage device (SD) card or directly attached storage device instead of on a server over the network. 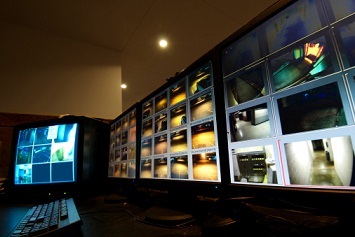 Edge storage can allow more flexibility and bring cost savings in video surveillance system design. The term “at the edge” came about because the file location is on the “edge” of the surveillance system network where the camera is located. IP video surveillance cameras with edge storage built-in record and retain video locally. When recording at the edge, the video is spread across a number of edge-storage devices as opposed to a centralized location like a network video recorder where all cameras and other devices are connected. Edge recording is also an alternative to larger storage systems if you are on a budget or do not need to save many files. High quality images are stored on the camera SD card, replacing the need for an on-site server. It offers an affordable recording solution wherever bandwidth is limited or not available. With edge recording, videos stored on the camera can record on a specified schedule, be retrieved automatically, and viewed remotely on mobile devices. The downside of edge storage is the SD cards in the cameras can have limited space compared to larger storage devices. Over the last few years, cards have been introduced with more capacity for less cost. The retention time of the card depends on how the cameras are configured for recording at different frame rates and resolutions, and if they are set up for motion detection or alarm events and the number of hours a day they record. While the majority of applications today are for secondary or backup storage, edge storage cameras are a viable solution when you do not record continuously. Instead, you record on an event basis like motion detection-activated recording, where cameras only record if they detect motion or go long stretches of time between recorded events, or video records on a schedule like only at night when the office is closed. Other applications for edge storage is for handling video recording in installations where network access is not constantly available such as in elevators in many buildings where the network is not stable. Remote locations are another example, or in mobile surveillance installations such as public transportation in trains and busses, which cannot stay connected to a central network while traveling. As part of an overall storage solution, edge storage cameras are often used to reduce the risk of data loss. Edge storage offers continuous fail-over recording and stores complete archives of the video, in case of network or server hardware failures. When the network connection is restored and the system returns to normal operation, the recorded video on the SD card can be retrieved and synchronized to the central video management system.